One Owner! 4×4 3.6L V6 Uconnect 130 CD/MP3, Tow Package, Alloy Wheels, Certified Warranty. 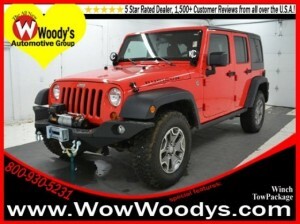 Come on down today and get into this outstanding-looking and fun 2013 Jeep Wrangler! You’ll never get more enjoyment from a vehicle for this amount of money.